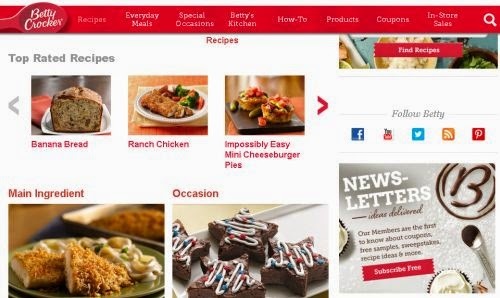 Sign up for free Betty Crocker® News Letter & get up to $250.00 per year in coupon savings, Free Samples every month & tons of yummy recipes. Click the link below to go to the Betty Crocker® website. Once on their website look on the lower right hand side to sign up for their news letter & browse the huge collection of recipes.